Did you enjoy some April Fools' Day marketing jokes this year? Make no mistake about it: coming from a business, April Fools' Day jokes are every bit as much an art as they are a science. 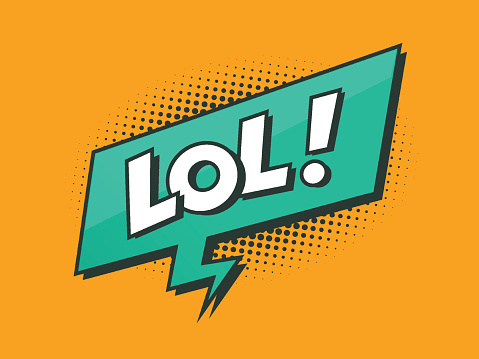 It's an opportunity to inject a breath of fresh air into your marketing efforts, as the day is one that has quickly become synonymous with pranks and practical jokes. If you do it properly, adding humor to your marketing campaigns can also be an excellent conversation starter - it's a unique way to add new members to your audience and engage with existing ones at the same time. As with most modern day marketing, however, it's often best to learn from example. The clear winner of April Fools Day 2017 has to be Netflix, who released the elaborate prank "Netflix Live." Capitalizing on the wave of live streaming video spearheaded by services like Facebook, "Netflix Live" was supposedly a 24-hour live video feed of actor Will Arnett watching a different live video feed and commenting on whatever he saw, including people in an office using a microwave, an empty supply closet, and more. "Netflix Live" had all the markings of a classic (and successful) April Fools' prank. It was timely because live video online is getting more popular all the time. It also honed right in on what Netflix's audience would find funny. "Arrested Development," the comedy classic in which Will Arnett stars, is one of the most popular shows on the platform. Rule of Thumb: if you're going to play around on April Fools' Day or with humor marketing, know your audience. Again: the best April Fools' Day jokes are born from surprise. If your audience can see the joke coming a mile away, you probably shouldn't be making it. Or at least, you should try a little harder. This is a lesson that Google just spent several thousand dollars learning by way of the Google Gnome, an Amazon Alexa-like device you can talk to that takes the form of a lawn gnome that is connected to the internet. This isn't a particularly bad joke in that it's offensive, but the execution leaves a lot to be desired. Not only is it immediately obvious that it's a joke from the moment you read the title, but the accompanying video is little more than the same basic joke ("a Google Gnome would be worthless to everyone") over and over again. It's a lot of effort for almost no payoff, especially considering the Gnome is a product few in Google's own audience would actually want to buy. Rule of Thumb: Remember what April Fools' Day and humor marketing is all about. It's not supposed to be a day of obvious jokes. Theoretically, people shouldn't fall for your prank for at least a couple of minutes. When executed properly, humor marketing can check a few different boxes all at once. For starters, it's fun - it's a great opportunity to pull back the curtain of your business and put a little bit of its personality on display. A well-executed humor campaign is also the perfect way to get people talking and generate new levels of awareness at the same time.